Mark Steimle exemplifies the standards of this prestigious CCAE Excellence in Teaching Award. His extraordinary passion, his methods of teaching and his energy motivates both students and staff. Mark states, "One of the reasons I teach high school subjects is because not having a high school diploma impacts an individual's life in many ways. With a high school diploma, a person is more likely to be successful in life and even life longer!" Mark's student shared, "Mr. Steimle has changed my life. He is the single most important influence, and he motivated me to get my high school diploma." 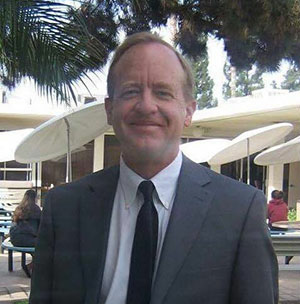 Mark started teaching at Baldwin Park Adult and Community Education in 1988. He has taught ESL, ABE and Adults with Disabilities. Currently, Mark is the lead instructor for the Independent Study Program and teaches High School Subjects and GED/HiSet preparation classes. Mark uses a variety of unique innovations and techniques to engage students in learning. He taught the first business lab class in the school and was one of the first teachers in the district to master a Smart Board. Mark was also the first to use Full Immersion as standard practice in the ESL course. Mark has been a member of CCAE for 26 years and has served as both Chapter and Section President, as well as many other offices. Mark stated, "There is making a living in teaching, but there are some jobs that you can say you have made an impact. I would say it is a pretty good day at work."